The rumor has become reality. Early last month we learned that Subaru was testing the new WRS STI Type RA NBR at the Nurburgring. It’s track-only, clearly obvious from one look at the interior, and it’s also sort of a homage to the first Type RA that debuted back in 1993 as a limited-edition solely for the Japanese market. And now Subaru has confirmed what we were hoping to hear: a new Nurburgring four-door sedan lap record has been set. With a time of 6:57.5, the Subaru WRX STI Type RA NBR is that car. Subaru claims the RA NBR was designed specifically to demonstrate all-wheel-drive capabilities, and it also set record times at the Isle of Man TT and the Goodwood Festival of Speed hill climb. 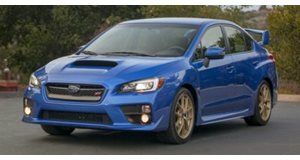 The Prodrive-built sedan is powered by a 2.0-liter Boxer four, but it started life out as a stock 2017 WRX STI. It received a full roll cage that’s been welded, and the engine itself has also received some modifications. These include a 75-mm intake, and the turbo now runs at 25 psi of boost. Prodrive previously calculated top speed at the ‘Ring would be 179 mph at 8,500 rpm in top gear. An aerodynamic package, different from last year’s TT car, was also fitted, and it produces about 650 pounds of downforce. There are also 9-inch wide slick tires, and a rally-spec sequential transmission. Subaru promises a full video is on its way, but until then, bear in mind the WRX STI Type RA NBR’s ‘Ring lap time is only a half second slower than the Porsche 918 Spyder.